This life-size skull includes 7 cervical vertebrae, nerve branches and vertebral artery, all mounted on a fixed base. 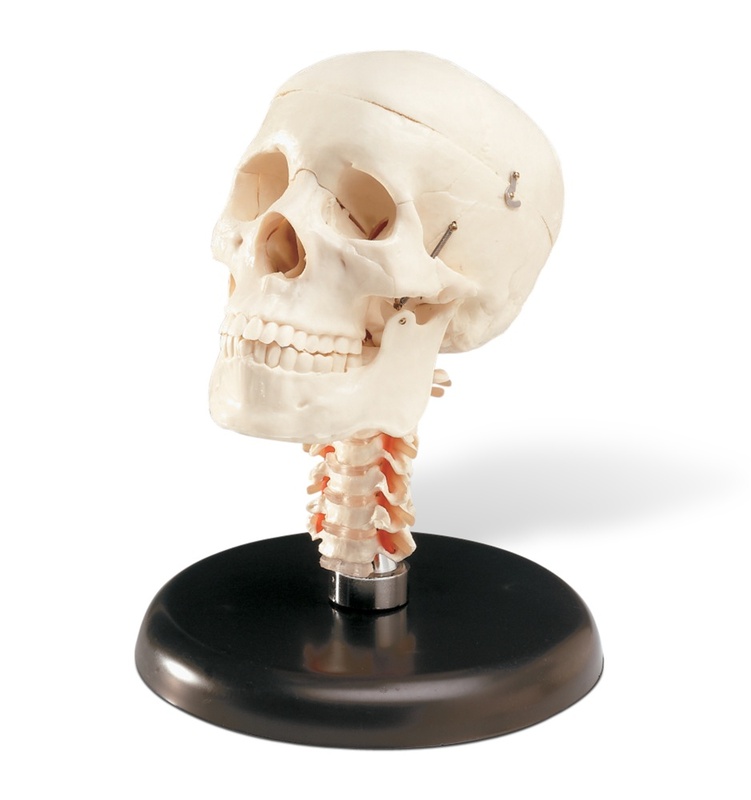 Skull features a removable calvarium, 3 lower teeth and a hinged lower jaw on springs. Cannot be removed from base. Size: 8-1/4"w x 11-1/4"h x 8-1/4"d.
"OK" to use as a display but not accurate enough for clinical use.